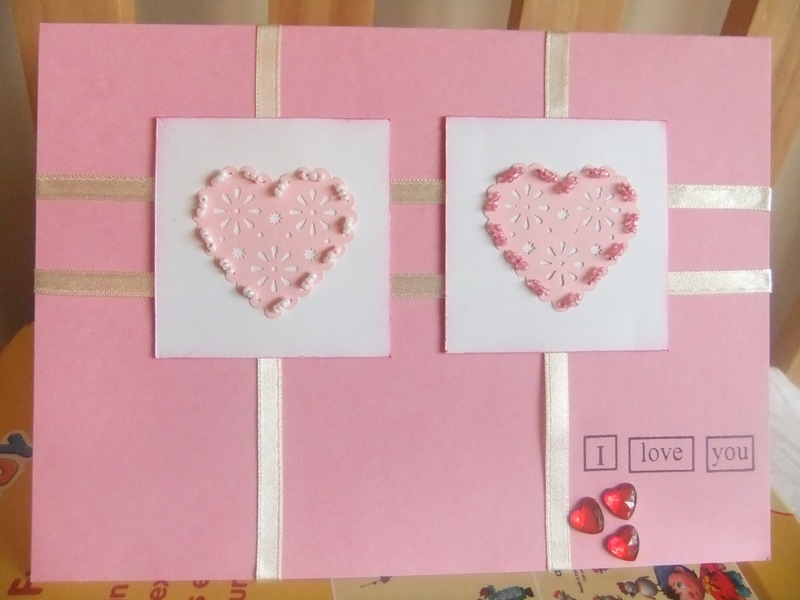 This is the first time I have made a card with beads stitched on it. 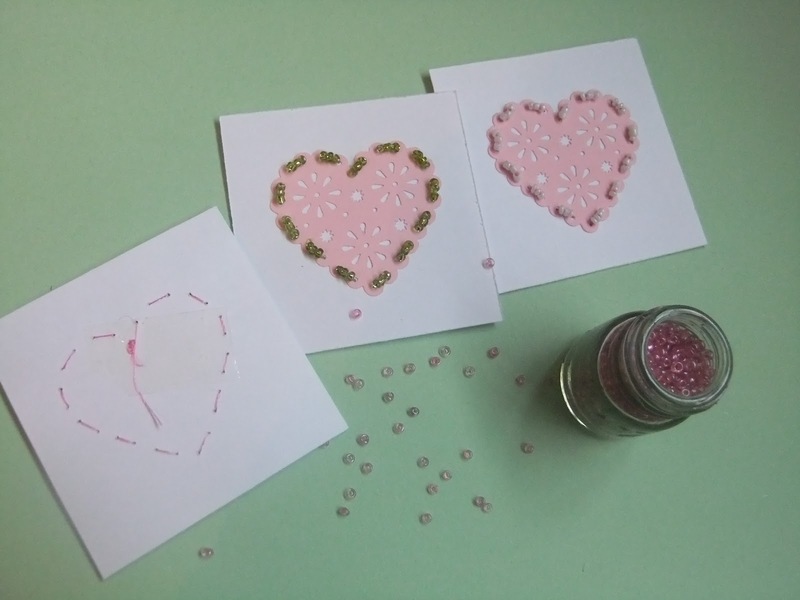 I used martha stewart punched hearts for stitching the beads in. A very pretty card. I like the beads around the hearts. Thank you for joining us at Creative Craft. very pretty , love the beads to!!! 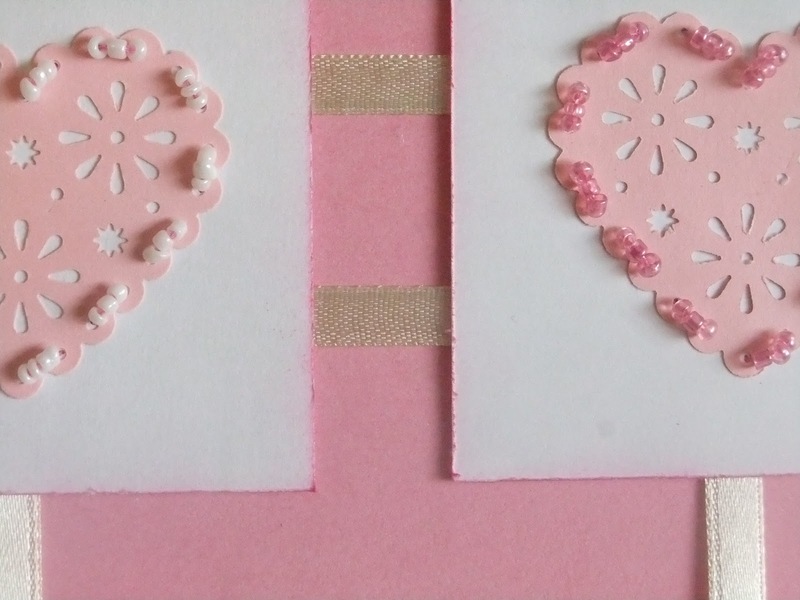 What a clever idea and such a pretty card, love it ! Thank you for joining us at Crafty Cardmakers and good luck. 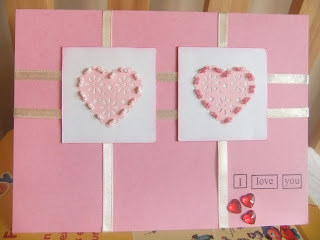 What a lovely card for our Hearts theme Sheetal. Great idea i love those beads!! !